Messerschmidt has only been on the job for three months and this was his first encounter with a dog on the job – we’d say he’s off to a good start. 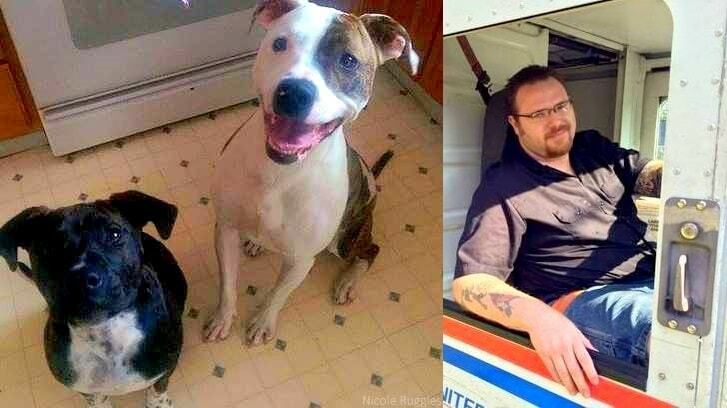 Though Brandon Messerschmidt usually carries pepper spray with him to work, he left it in his truck on Monday when he risked his own life to rush into a burning home to save two pit bulls. 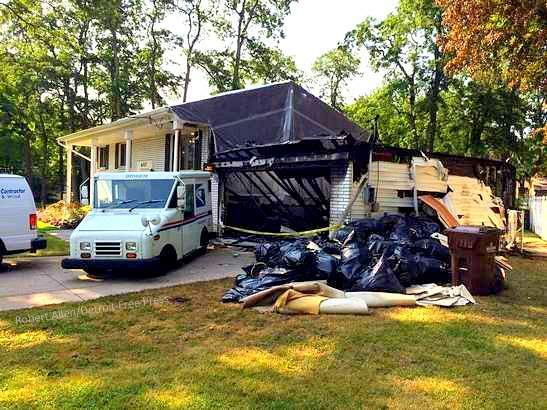 The owner was able to get them out himself, but the valiant mailman led them to safety at a neighbor’s house. 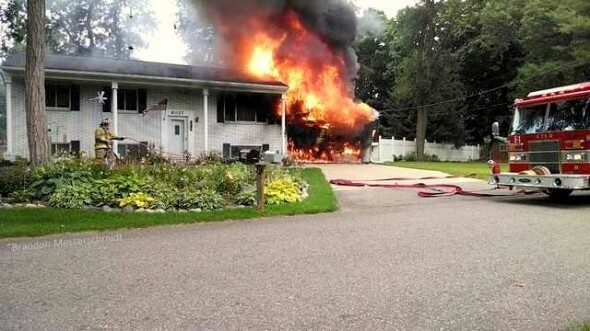 The Michigan letter carrier was on duty when he came across a blazing attached garage in Commerce Township. Homeowner Mark Ruggles was trying to put it out with a hose, but within moments the fire spread to the house. His dogs, Diesel and Roscoe, were inside and now needed to be saved before the smoke and flames reached them. He took the pit bulls from Ruggles to let him continue to battle the blaze. Not all dogs, and certainly not these two. Messerschmidt tried to get them into his truck so they wouldn’t run away, but he had better luck getting them to a neighbor’s house. The gallant man said he’s only been with the Postal Service for three months, and this is his first direct encounter with dogs while on the job. It helps that he likes dogs, and has a beagle of his own named Maggie. Any fear of strange dogs would not have stopped him from saving their lives. Mark’s wife, Deborah, said that the boys are doing well, but Roscoe is “still a little shaken up.” A cat named Missy was in the house the whole time, but she is also well. Messerschmidt says he just hopes that someone would do the same for him if his pets were in that situation. All good things and happiness to him. Thank you. Thanks Brandon for being a brave man!!!!! He’s a Hero!! Why is it that a mailman will risk his life to save a dog, but there’s ‘certain’ cops just using them as target practice?! 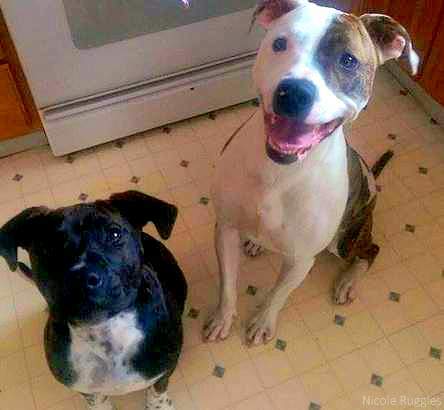 What a hero for putting his life on the line to rescue these dogs , way to go Brandon! Brandon Messerschmidt, you are the kind of person we all should be! Blessings! How wonderful! Nice to read a positive story! Would you like to be the mail carrier for my community? Hats off for you!! Your Just ROCK!! Bless you…. 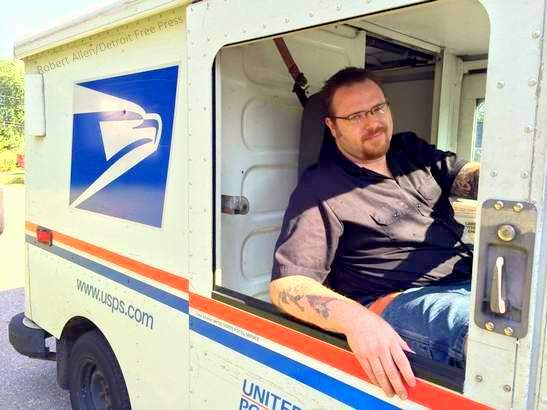 Our hero- Best mail man ever!!!!!!!!!!! Well done, Mr Messerschmidt, I bet you customers feel extra safe knowing you are on the look out for them, when you are out on your rounds. Glad you could be there to look over these wee lads when they needed you most. A wonderful man. God Bless.